Very nice event. The mayor visited. Well received and educational. Join us in the beautiful coastal village of Yachats, Oregon for our 2nd annual Drive Electric Yachats. 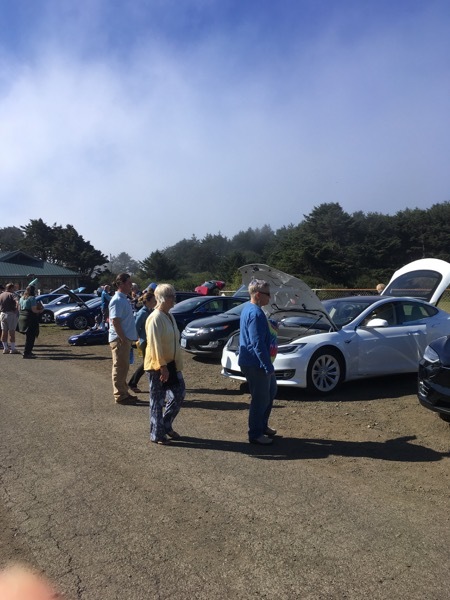 Sunday Sept. 9, 2018 we will be back at the Yachats Commons displaying and discussing electric vehicles. Speak with proud EV owners about everything you want to know about this rapidly evolving world. If you are an EV owner, we would love to have you and your vehicle at our event. Please sign up on this page. A FREE showing of the movie "Revenge of the Electric Car", including free popcorn and other surprises, courtesy of Central Lincoln PUD will begin at 2:30 PM in the Commons. Registered attendees report 165,737 electric miles driven.